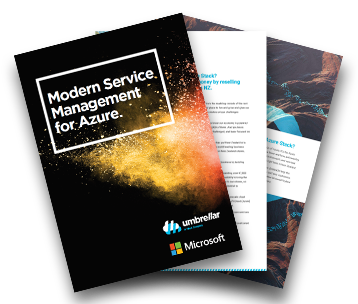 Umbrellar is New Zealand’s only dedicated Azure & Azure Stack Managed Service specialist.That’s why successful Kiwi companies of all sizes choose us to transform their businesses. We understand the need for a more responsive, flexible, scalable and more competitive solution. This means the right technical solution, providing you peace of mind. You need experts in configuration management, back up and DR, identity management, automation and DevOps. But most importantly, you need it done right. We offer you deep operational expertise with a robust spectrum of services and support to tackle the complexities of the cloud. From strategy, operational management, through to commercial governance. You need a partner who is an expert that overlays excellence in governance, monitoring, cost optimisation, and support SLAs. We deliver every time so that you can thrive not just survive in the cloud. With our Azure Managed Services you get around-the-clock support. Umbrellar manages the full cloud lifecycle with the expertise you need to address your transformational goals. Want to learn more about Azure Managed Service? Download our whitepaper where we take a closer look at the six key elements of Modern Service Management.